Sioux Chief serves the rough plumbing contractor. You are the source and summit of our inspiration and focus. Since 1957, Sioux Chief’s mission has been to help you realize your mission – to build your brands and rough plumbing businesses. We design time saving, quality and cost competitive rough plumbing products because you demand them. We augment your front lines while adding to your bottom ones. Sioux Chief serves the distributor. We recognize the value of a world class supply chain – and that logistics is often the unsung hero of the plumbing battlefield. Products need to be in the right place, at the right time – and at the right price. We understand this. We built a product offering and a business model to support it. Without distribution, Sioux Chief could not be. With you and through you, we will grow and serve. Sioux Chief serves the plumbing engineer. We understand the importance of a specification. Every detail of our manufactured products – from raw material to finished goods – is specified. Your designs are your products. The field is your factory. That’s why Sioux Chief’s quality and innovation have made their way into the hearts, minds and specifications of plumbing engineers throughout the world. Sioux Chief serves the quality builder. We know that your work is part art and part science. The finished product must work. But, as importantly, it must sell. Sioux Chief sells. Nothing sells better than a strong brand – and nothing builds a strong brand better than quality and innovation. 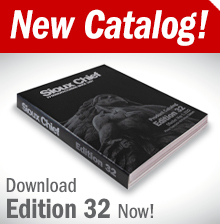 When your contractors choose Sioux Chief, they build your brand. They help you sell – even as they help themselves.